Single payer simply means that instead of insurance companies and states paying doctors and hospitals, the federal government pays the bills. The federal government, being Monetarily Sovereign, easily can afford to pay any amount, while for-profit insurance companies and monetarily non-sovereign states cannot. That’s it. You now know everything you need to know about single payer vs. whatever-you-want-to-call the U.S. current system. All else is trivial by comparison. What’s not being asked in the Charlie Gard case? In the story of Charlie Gard — the seriously ill 11-month-old boy that British health care is compelled to let die over his parents’ wishes — there is something important that is missing. You’ve probably heard of Gard’s rare illness and the British health care bureaucrats who think it best that he die. And you also may have heard about his parents’ battle in the hopes of saving their son, and the latest court hearing where a last-ditch effort was scheduled in the hopes of bringing him to the U.S. for experimental treatment. The question is this: If America adopts such a government health care (single payer) system, could what has happened to Charlie Gard and his parents happen here? Those in favor of government health care might not want to answer it; and journalists in favor of such a system might not want to know. Or they might not want to appear rude. I’ll interrupt to remind you that what Kass misleadingly calls “government health care” really is the government taking the place of privately-owned insurance companies. The actual health care still is provided by doctors and hospitals, no matter who pays. Little Charlie suffers from a rare genetic illness. Blind and deaf, he endures painful epileptic seizures. His doctors in London insist that his illness can’t be treated, and that he will die when life-support is withdrawn. And health care bureaucrats in London want it withdrawn. But his parents, Chris Gard and Connie Yates, are fighting to bring him to the U.S. for a chance at experimental medicine. They’ve raised almost $2 million. Yet British doctors say prolonging Charlie’s life will only cause him pain. Reminder: This is doctors, not the government, objecting to Charlie being subjected to more pain. Would American doctors have the same objection? If not, why not? So the Charlie Gard story is a political story, where a government and its bureaucrats, not the parents, decide whether a baby lives or dies. No, it is doctors making life/death decisions, as they must do every day. It comes with the territory. Some governments might be seen as progressive, others as conservative, but to the people who pull the levers, one thing is understood. Government is about force. It always has been about force. “Force” is another word for “law,” which Libertarian anarchists profess to hate. They might be driven by what some call scientific reason, and by others as the end product of cost-benefit analytics. But with a bureaucracy, it always ends up being about the same thing. Force. Or, as in the case of the British doctors, mercy for a blind, deaf child who is experiencing terrible pain. Someday it might be your child whose fate is being decided by others. Someday it might be you. But who should make that decision? The government or the parents? Would you sit quietly, and allow bureaucrats to tell you what must be done? Yes, governments often must protect helpless children, even from their parents. It is what we expect governments to do. Kass is a right-wing Libertarian, who opposes government, and especially opposes progressive benefits for the poor. So he writes emotional articles designed to denigrate social programs. To both the Republicans and the Democrats (but especially the Republicans), federal funding for universal health care is an anathema. It narrows the health care gap between the rich and the rest, something the rich resist mightily. You’ll notice Kass talks about federal bureaucrats but does not mention insurance company bureaucrats, the latter having a much stronger profit motivation to deny benefits. When it comes to paying doctors and hospitals, for-profit bureaucracies deal in force, as do government bureaucracies, the primary difference being that private insurance companies cannot afford to insure the already-sick or those having rare, expensive illnesses — the “Charlie Gards” of the world. The federal government, being Monetarily Sovereign, easily can afford to pay any amount, while for-profit insurance companies and monetarily non-sovereign states are financially motivated not to pay. Don’t let the toadies for the rich confuse a simple issue. Interesting that we can always find billion$ for war and war (Killing) preparation, but health and life and living…nah. What would happen to the .01% if peace busted out all over? Enemies are for them a convenience. This is like saying, “if it’s ok to let someone steal a car, why not let them steal a bank”? But to your point, our government is allowing so much theft, I don’t think anything matters. It’s infuriating that people like Rodger pull this single payer nonsense while ignoring the real problem, the medical monopolies charging all they want. It’s synonymous to someone doing something illegal and getting rewarded for it. Is there anyone with brains left? Single payer extortion is a more appropriate name. It’s a forced tax and you know it. Not wishing to understand Monetary Sovereignty, you don’t wish to understand single payer, which does not require a tax. It’s impossible to convince a man, who refuses to open his eyes, that a daytime scene is beautiful. He will continue to claim it’s dark outside. Are you sure that man is me? Or is it a man that wishes to ignore basic math? SO true!! Ignorance drinks the Oligarchy kool aid !! DISTURBING!! 1. Single payer simply means that instead of insurance companies and states paying doctors and hospitals, the federal government pays the bills. 2. The federal government, being Monetarily Sovereign, easily can afford to pay any amount, while for-profit insurance companies and monetarily non-sovereign states cannot. Though your intuition may tell you that Medicare for All deficit spending would cause inflation, the facts show intuition to be wrong. The red line shows inflation. The blue line shows deficits. Inflation actually has been lowest when deficits were high. The reason for this counter-intuitive fact is that the formula for inflation is not: Value (of money) = 1/Supply. The formula is Demand/Supply. The federal government increases the Demand for dollars by raising interest rates, which it does any time it believes inflation is imminent. In summary: The federal government has the ability to fund comprehensive Medicare for All, without inflation. I’m sorry if this doesn’t comport with your intuition, but those are the facts. So instead of the medical monopolies charging people all they want, they’all charge the government al they want. Want to see what inflation looks like? Check out Europe – most families can’t have more than a single child. Rewarding thieves just because “the government can create all the money it wants” is an irresponsible solution and one that would not work even if it was proven to defy the laws of basic math. Basic math says medical monopolies are stealing purchasing power from the people. I show you data proving that federal deficit spending hasn’t caused inflation, and you completely ignore the data and blithely continue with your fact-free, intuitive “basic math” comments, as though nothing has happened. If facts don’t affect your beliefs, why do you even bother to read this blog? Anyway, we already do Medicare for millions of people. Where’s the inflation? Medicare for All simply would add people to the existing rolls. 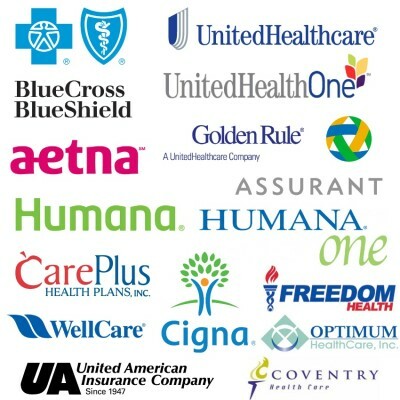 I’m not sure why you think it’s better for the public to beg insurance companies pay than to have the government pay. Europe’s economic problems have to do with monetary non-sovereignty, not with their health care systems.